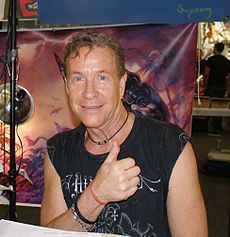 Arthur Suydam was recently honored with the Spike TV Scream Award, (best writer, best artist, best comic of the year) and Suydam’s short story Christmas Carol was chosen for inclusion in The Mammoth Book of Horror and Legends for best comic horror stories of all time and The Art of Painted Comics (2008). Suydam was recently honored with the prestigious Spectrum Gold Award for Excellence in Illustration, the San Sebastian Film Festival Lifetime Achievement Award, a Lifetime Achievement Award from the University of Maryland Eastern Shore, and numerous fan-site favorite awards across the globe. Suydam’s popular covers have graced the covers of Deadpool , Marvel Zombies, Dead Days, Marvel Zombies #2, Marvel Zombies#3, Batman, Wolverine, Fantastic Four, The Incredible Herc, X-men, Ghost Rider, Thor, Spider Girl, Black Panther, Oz Chronicles and more. In 2008 Marvel released an exclusive hard cover tribute to the works of this unique artist entitled Marvel Zombies: The Covers, dedicated to Suydam’s groundbreaking work. Additional recent works include Dynamite’s Army of Darkness, Savage Tales, Red Sonja and the smash hit Army of Darkness vs. Marvel Zombies and Raise the Dead. 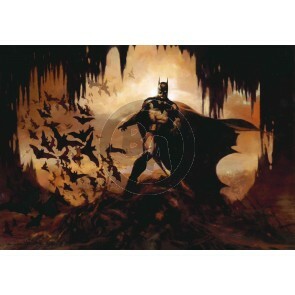 Past works include work on Batman vs. Predator, Conan the Barbarian, Tarzan and House of Secrets. A life-long fan of Marvel comics, Suydam also branches out with select projects that include film noir for Hard Case Crime, where Suydam provides retro-inspired covers for such titles as Robert Bloch’s Shooting Star, Fright by Cornell Woolrich, Noir pulp great Mickey Spillane’s final novel released this year Dead Street: The Tick, and more. Suydam’s immense body of written and illustrative work comprises an aesthetic that is as uniquely distinguishable as it is organic and poetic. In addition to his own works, Suydam has contributed text and artwork to countless publications including the highly acclaimed re-release of the children’s classics, Bre’r Rabbit and The Wind in the Willows.